When I began coming to St Joseph's Monastery thirteen years ago, I was looking for a new relationship with God. I had been a very lax catholic up to that point. I was merely attending Mass, not praying with Sharon and the kids the way that I should. Very rarely did I attend daily Mass or go to confession. So in 1999 I found out about a place where silent retreats were being offered over the weekends. It was here at Whitesville, Kentucky. It was now time for me to allow Jesus into my life. It was here at the monastery that my faith would be rekindled. With my first retreat the little ember in my soul was beginning to glow. I had found a place that would match all that I was looking for. A place that was peaceful and prayerful at the same time. I knew I had found the place that I could keep coming back to and feel the presence of the One who created it. My heart and soul started to become attached to this holy ground. Again, this was my first retreat here and before I knew it, the time to go back home was upon me. Before I left, I had made one purchase at The Passionist Inspiration Shop. That was a large picture of The Holy Face of Jesus. This was the beginning of my interest in the Holy Passion of Jesus. At the same time as I was driving off the grounds I was feeling an immense ache in my heart. I was very sad, I had to leave and knew it would be next year before I would return. By the time of my second retreat in 2000, I was already beginning to feel very much attached to the Passionist community. It was during this retreat that I became aware of the Oblate program. I was able to talk with Tom and Debbie Carter a little bit during my retreat. Having met them I knew they had something special going on. Whatever that SOMETHING SPECIAL was... I wanted to be a part of it. I was starting to process in my mind...what an oblate was? What did an oblate do? What would it mean to me as an individual? I also wondered...if I would ever become an oblate, what could I contribute to the group as a whole? All of these things I would ponder for the next twelve years. The main point that kept coming back to me over and over again was...The LOVE that Jesus showed us during His Passion and Death on the Cross. His Passion equals His love for us. Jesus loved us SO MUCH...as to LOVINGLY and WILLINGLY suffer death...that we may live! At this time I would like to share some thoughts I have had on the LOVE of Jesus for us. Jesus as both God and man... knew what all humanity needed. That we are a community oriented peopleYwe are a people needing to be loved. Think for a moment...how would you feel if your wife or kids did not love you? How would you feel if they did not show you ANY affection? Now, how do we show affection to one another? We become intimate by holding hands, hugging or kissing. We may even do this with close relatives and friends as well. I truly feel Jesus was aware of this at His Last Supper. When He introduced this Sacrament to us on Holy Thursday, before the GREATEST Act of Love... that ever has... or ever will be made on the part of humanity. He did this so that He could be with us ALWAYS. Jesus comes to us LOVINGLY in His Body...Blood...Soul... and Divinity. How much more Loving and Intimate could He be...than to come to us daily in Holy Communion? He comes to our very person. He allows us to receive Him on our tongue, or if you like you can caress Him in your very own hands. You may even kiss Him lovingly before you partake of this Most Holy Sacrament. However, this LOVE comes at a great price. The price He paid was His Passion and Death. Our souls need this Passion...but it also needs His Resurrection. Without The Passion...there can be no Resurrection! Without The Resurrection...The Passion would be of no avail to humanity! 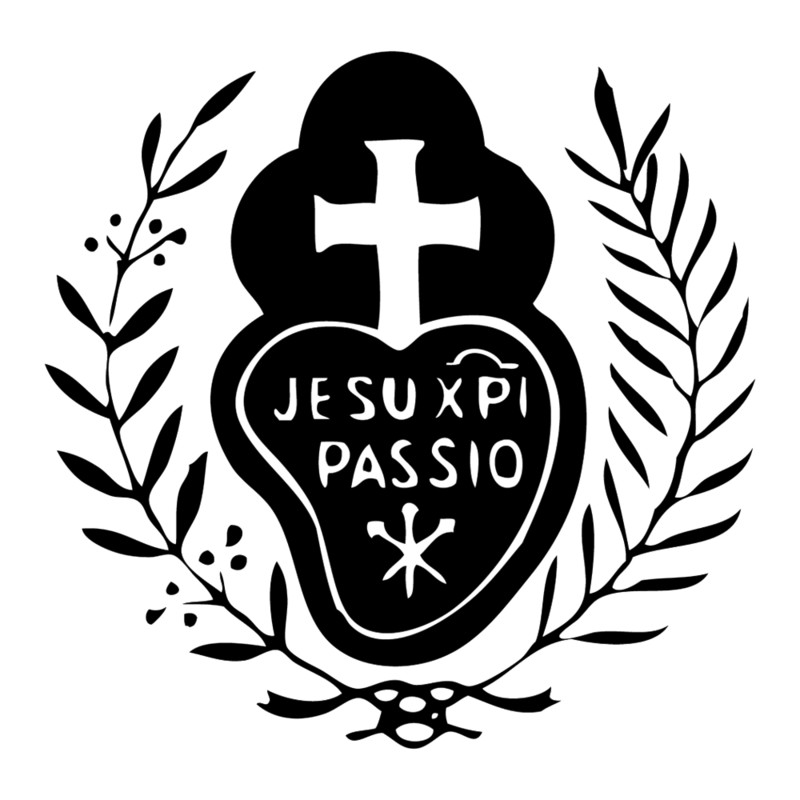 All of this is Part of the Passionist charism. My heart was really desiring to become an oblate. I felt that I was already a part of the Passionist Community. Being an associate was good... but I hungered for more. I wanted to take part in the prayer life of the sisters more fully. I also wanted to be a part of the Oblate community. In this way I could unite my prayers in a more united way to the Blessed Virgin Mary, the sisters and the oblates. Sadly I was not able to join the second class of oblates because of my work schedule at Bellsouth. I was told that when you go to Medjugorje you are chosen by Our Lady. You were not the one that was doing the choosing. It was decided from ABOVE. This impressed me very much. With my hopes dashed as to becoming an oblate, I used my pilgrimage and being an associate and also continuing my annual retreats to spur me on the Passionist path. If it is worth doing... it is worth waiting for. These years were not wasted. The yearning to become an oblate kept growing. I tried to be an oblate as best I could. I bought a set of The Liturgy of Hours and took a class on the Hours with Mother Catherine Marie so as to pray as often as I could and as close to the times as the sisters did. I now attend daily Mass more often than I did before. I also visit the confessional at least twice a month. I thought Mother would grow weary of me asking about starting a third class. I was also blessed to be able to trust more in Jesus than ever before. When I was to have back surgery and prostate surgery, I was worried about the surgeries and the side effects. So each time I received the Anointing of the Sick. This wiped away all fear and allowed me to try and unite my suffering to the suffering Jesus. With all of this, I am trying to have true compassion for His Passion. If you think about it, this is truly a Passionist trait. I feel that I have been discerning for nearly twelve years... my entry into the Oblate program. When I received the letter asking if I would like to enter into the Discerning Program...I was elated. My only fear...was is this my will or was it God's will? I sent an e-mail to Mother in January about my concern of who's will this was... and she answered me in a short note: "If you have had a persevering desire over so many years (which you certainly have had!) this is not just your will. It is a call from God. And I am glad you have now the opportunity to answer it." I am hoping I have something to offer for the betterment of the Passionist community and the Oblates as a group. I also ask them to help me in my pursuit of spiritual growth and for the LOVE OF THE PASSION OF CHRIST.